If you’re hoping to start your own business, finding the right place to set up shop is a critical first step. To give budding entrepreneurs a jump on the competition, we scoured the country for ten startup-friendly cities. First, we looked for metropolitan areas with high concentrations of small businesses. Then we scanned for places with low living costs, specifically for self-employed people, as measured by the Council for Community and Economic Research. Some pricier areas still made the cut because they offer advantages, such as large pools of highly skilled workers, that might outweigh the expense. Next we screened for an educated workforce to ensure you’ll have plenty of promising job applicants when you’re ready to hire. Finally, we looked for areas that tend to receive a lot of start-up investment dollars and offer low business costs. Take a look at our list of ten of the best cities for entrepreneurs. Not everything’s bigger in Texas. Take taxes. In the Kosmont-Rose Institute Cost of Doing Business Survey, both Dallas and neighboring Fort Worth ranked among the 20 least-expensive cities in the West in 2012, based on a basket of costs, including property taxes, sales tax, business license fees and utilities taxes. Dallas also has no personal income tax, occupation tax or wage tax. It’s no wonder 20 Fortune 500 companies, including AT&T and Southwest Airlines, choose Dallas for their stomping grounds (cowboy boots optional). But budding entrepreneurs need not feel dwarfed by these corporate behemoths. Nearly 80% of Dallas businesses officially weigh in as small (technically with fewer than 500 employees, but typically with 20 or fewer). And they employ nearly 40% of the area’s workforce. The smallest of small businesses — “microenterprises” with five or fewer employees — can get help from the Business Assistance Center program, which provides resources, workshops and one-on-one counseling to future CEOs. Start-up accelerator Tech Wildcatters offers its mentorship program and up to $25,000 in seed money to select companies. And the Dallas County Community College District provides a 30,000-square-foot business incubation center that can house up to 50 small-business owners, who share the costs. To harness this truly unique opportunity for innovation, Kansas City, Mo. — the city straddles the Missouri-Kansas border — has developed a strategic initiative called LaunchKC, which will roll out a number of developments in hopes of attracting and nurturing tech entrepreneurs. On its to-do list: reduce costs for starting new businesses, create a wireless district in the downtown area and establish a collaborative space for tech professionals. For local resources that already exist, tap into the Kansas City Startup Village. The community of entrepreneurs has plugged into Google’s superfast Internet speeds and invites others to join their shared offices and living spaces at little or no cost. Plus, a number of business incubators, including BetaBlox and Think Big Partners, offer mentorship programs, access to facilities and networking opportunities. Think Big also offers investment funds. This Southern belle knows how to court the entrepreneurial spirit. Back in 1886, it was the birthplace of Coca-Cola, whose products have fueled many a creative mind ever since. And more than hometown loyalty has kept Coke’s headquarters in Atlanta, alongside the likes of AT&T, UPS and Delta. The city boasts the world’s busiest airport, and execs enjoy a quality culture scene led by the High Museum of Art, fine dining options and an active nightlife. Another entrepreneurial draw: Despite its big-city appeal, Atlanta offers small-city living costs. And according to consulting firm KPMG, business costs are 3.8% below the national average. Plus, the area’s 57 colleges and universities provide a deep pool of young skilled workers. Campuses also offer support and resources for local innovators. Georgia Tech’s start-up accelerator, the Advanced Technology Department Center, has helped launch more than 130 tech companies since 1980 with its mentoring program, networking events and other services. Georgia State houses CollabTech, a business incubator with nearly 14,000 square feet of lab space and offices, access to equipment and technology, and an on-site facility manager. Beyond school grounds, Hub Atlanta offers co-working spaces as well as a network to connect entrepreneurs and potential investors. And funds are flowing into Atlanta at a healthy rate. In the first nine months of 2012, the metro area raised more than $196 million in investment funds, according to the National Venture Capital Association. The mile-high city provides stable ground (and beautiful scenery) for aspiring impresarios with lofty business goals. After all, small businesses with fewer than 50 employees make up 95% of the area’s economy. Despite a slightly higher than average cost of living, Denver scores favorably on the Kosmont-Rose Institute Cost of Doing Business Survey. And according to consulting firm KPMG, business costs are 1.6% below the national average across industries — and are particularly low, at 8% below average, for corporate services such as insurance. Denver’s economic development office encourages small-business growth with its JumpStart Biz Plan Awards. All applicants receive feedback and advice on how to plow ahead, and winners collect $50,000 cash, plus legal counsel and tax, accounting, marketing and social media services. Winners also get a one-year membership in tech start-up community Galvanize, as well as an office in its 30,000-square-foot workspace. In addition to a highly educated workforce — one in three workers has a BA or higher — the Denver area also boasts a fair share of the nation’s start-up investment dollars, having received more than $192 million in venture capital last year through the third quarter. 6. Buyer Broker Compensation (click here to learn how to negotiate your buyer broker’s fee). Buyer brokers typically get paid by the seller which creates a horrible conflict of interest. Combine that with the fact that the listing broker actively conceals this offer of compensation from both the buyer and seller and the result can be outright bribery. Many listing companies and builders will provide huge secret incentives to buyer brokers who are successful in convincing buyers to purchase their listings. Solution. Use a small brokerage and hire the broker (they don’t have to split their commission with agents). Negotiate your buyer broker’s fee upfront and before you are shown any properties. Insist that your broker disclose all compensation being offered prior to showing you any house. Insist that your broker pay all seller or listing broker incentives to you. 7. Open Houses (click here for story). Open houses do not even make the list of effective ways to sell a house. Open houses are traps for home buyers and sellers that foster dual agency and double commissions. Walking into an open house could easily result in a commission dispute if the buyer decides that they want to hire their own broker to negotiate the transaction. As a result, it is likely that the buyer will forfeit both their and the seller’s right to representation. Open houses serve no purpose other than to provide the listing broker with a free platform to solicit buyer clients to find other homes. They also create a security risk for sellers. Solution. Do not let your Realtor hold ANY open houses and do not go to any open houses. 8. Bad Forms (click here for Consumer Friendly Listing Contract) (click here for Consumer Friendly Seller Representation Clauses) (Click here for Consumer Friendly Buyer Representation Clauses) . The negotiating power of buyers and sellers are ignored in the industry forms (mostly drafted by Realtor Associations). The forms that exist include many unsavory elements to which no consumer should ever agree. Extra fees and commissions payable even if the deal does not close are two examples. Solution. Use a small brokerage firm that is willing to negotiate their contract (large firms rarely do.) Hire an attorney to help negotiate this key form. 9. Home Warranties (click here for story). Home warranties are rarely worth the expense and provide secret incentives to real estate brokers and agents. There exists so much mis-information about home warranties that a google search of “problems with home warranties” now leads you to many self-serving blogs. Try searching “home warranty rip-offs” or go to sites like the Ripoff Report. Many Realtor Associations have now included a check box for buyers to select on the purchase agreement requiring the seller to pay for a home warranty as part of the transaction. Solution. Do not buy or sell a home warranty. If a home warranty is required as part of the transaction, require your broker to pay you the compensation that they would have collected for selling this. 10. Arbitration (click here and see clause 8). Many Realtors advise their buyers and sellers to agree to arbitration if a dispute arises in the transaction. Arbitration only benefits the broker in that it reduces their liability. The act of advising a client to agree to arbitration is most likely the unauthorized practice of law reserved for lawyers, not Realtors. Arbitration usually costs a lot more than Small Claims court, has a reduced statute of limitations and the arbitrators are often unqualified and sometimes biased. Solution. Do not ever sign the arbitration clause unless your attorney advises you to do so. Bonus 11. Bad Laws. Realtor Associations are the top lobbiests in the country (click here for link to statistics) and that comes with a high price tag for consumers. Whether it be the one year statute of limitations on RESPA violations (most laws have a 6 year statute of limitations) or states that legalized the price fixing of buyer broker fees, the fact is that there are an unreasonably large number of anti-consumer laws that serve to abrogate common law rights and manipulate licensing and regulatory laws to protect brokerage firms from consumer legal actions. Every day is independence day for home buyers and sellers. Every day more consumers are freeing themselves from the deceptive business practices that so often lead to uninformed and bad decisions when it comes to buying or selling a home. That means that more consumers are seeking out conflict free real estate professionals whose advice is not marred by secret incentives that undermine the very reason those professionals were hired. In the spirit of independence, CAARE is releasing this list of the top 10 worst business practices and how to avoid them. It is CAARE’s mission to empower consumers to make intelligent and informed real estate decisions and free themselves from bad practices when buying or selling a home. 1. Dual Agency (click here for article). This is the most deceptive and anti-consumer practice – avoid at all costs. No one can serve two masters and when they do the conflicts are on the verge of absurd and usually insurmountable. Dual agency occurs when the brokerage firm represents the buyer and seller on the same transaction (even if different agents are involved). Dual agency arises with little warning and results in the abandonment of the services for which the agent was hired. In dual agency, the broker gets paid double and the buyer and seller forfeit their right to representation on such things as negotiation of price and terms (2 of the top 3 reasons consumers hire Realtors*). Solution. Look for quality agents from small brokerages or from brokerages that exclusively represent buyers or sellers. Never call on real estate advertisements or visit open houses. 2. Controlled Business Arrangements with Title and Closing Services (click here for story). Title companies that are owned or affiliated with other real estate professionals destroy the integrity of this vital check and balance. In addition, they destroy the consumer advantages that are borne from competitive business practices such as good service and competitive pricing. Solution. (click here for our growing list of independent title agents). Only hire a title company that is truly independent from your brokerage, builder, lawyer or lender firm. Never use an affiliated business in real estate. 3. Lawyers Who Sell Title Insurance. Attorneys cannot negotiate title coverage on behalf of their client when the attorney also represents the title underwriter providing that coverage. In addition, the commission paid to attorneys on the sale of title insurance is very large and is only paid if the transaction closes interfering with the attorney’s representation of the clients’ best interests. Solution. Hire an attorney whose practice focuses on real estate and who will not sell you or your lender title insurance. 4. Lawyers Who Represent Home Buyers, Sellers, and Who Also Represent or Receive Referrals From Real Estate Professionals. Many of the worst business practices will not be disclosed to buyers and sellers if the attorney represents, seeks to represent or gets referrals from real estate professionals. Solution. Only hire a real estate attorney who does not represent or get referrals from real estate professionals. 5. Marketing Manipulation That Fosters Dual Agency. Many real estate brokerages engage in market manipulations disguised as selling strategies. These practices usually involve limiting demand in order to collect a double commission. a. Pocket listings (aka Sneak Peaks) (click here for story). Properties are shown only to in-house agents prior to being placed on the MLS. If the strategy works, the broker gets paid a double commission and the seller will have sold their property in a severely manipulated market situation in which demand was intentionally curtailed. In addition the seller and buyer forfeit their right to representation. b. Internet Marketing Plan Manipulation (click here for story). Some firms have actually pulled their sellers’ listings from the top buyer frequented real estate websites in order to collect double commissions. Solution. Walk away from any brokerage firm that encourages you to do a pocket listing or excludes third party internet websites from their marketing plan. Only use brokerage firms that offer a complete marketing plan that includes their listings on Realtor.com, Zillow, Trulia, MSN RealEstate, Yahoo Real Estate, NeighborCity.com and others. How can I find a business loan? Choosing the right kind of business finance can be difficult. Banks and other lenders offer a range of business loans including overdrafts, lines of credit and fully drawn advances. Using the Business Loan Finder External link can help you find and compare business loan options. You can type in the amount of money you need to borrow, specify whether you need it upfront or at call, decide on the type of security you want to provide (residential, non-residential or none at all) and the Business Loan Finder takes care of finding the loans that meet your needs. Business Loan Finder is a useful guide to the business finance options available from banks and other lenders. To cope with fluctuations in cash flow your business may need access to an alternate source of funding. An overdraft facility can be attached to your business account with an agreed overdraft limit. Security is usually required together with a credit assessment of the business viability. The purpose of an overdraft facility is to provide working capital for the business before income is received. It should not be used for capital purchases or long term financing needs. Overdrafts can be secured or unsecured and their fees depend on the credit limit. A line of credit or equity loan can provide access to funds by allowing the borrower to draw on an account balance up to an approved limit. As long as the balance does not exceed the approved limit, funds can be drawn at any time. These loans are usually secured by a registered mortgage over a property. You are usually required to make payments to at least cover the interest and fees on the loan. The main advantage of a line of credit is it’s flexible – like an overdraft it can be drawn as the need arises. It can be used to access funds for working capital requirements. As this type of loan is usually secured against property, interest rates tend to be lower than for overdrafts. However, if you fail to make your payments you can put your property at risk. A fully drawn advance provides access to funds upfront and is used for funding long term investments such as a new business or equipment that expands the capacity of the business. It is not the same as a short term loan that you would use to help with cash flow and fund the day to day running of the business. A fully drawn advance is a term loan with a scheduled principal and interest repayment program. These loans are usually secured by a registered mortgage over a residential or commercial property or business asset. The advantage of using a fully drawn advance for business investment is the interest rate may be fixed for a period, providing certainty and stability for repayments. Launching a business in midlife can be fulfilling and lucrative, but too many first-time entrepreneurs make big mistakes in the process. It’s no wonder that 80 percent of new companies fail in the first three years. Mistake No. 1: Not having a why that’s bigger than your but. You must have personal clarity around the why of your business before starting it — the reason for pursuing this dream. Otherwise, you’ll likely be stymied by excuses for not forging ahead — the “yeah, buts” (such as yeah, but I’m not sure how to do this) and will find yourself giving up before achieving success. Your vision for your enterprise needs to burn brightly in your mind and tug at your gut. If it does, you’ll then be able to view pesky startup problems as minor irritations. Gene Kranz, NASA’s flight director for the harrowing Apollo 13 flight, told Mission Control and the world “failure is not an option.” That must be your motto, too. Mistake No. 2: Assuming banks will lend you money. Since the success rate for new businesses is low, many banks are reluctant to back new ventures. They’ve become especially restrictive on lending since the financial meltdown. Some community banks, however, specialize in making loans to self-employed professionals, like lawyers, doctors and dentists. Typically, the only way you’ll be able to get a loan for your enterprise is by pledging as collateral the equity in your house or your investments or other assets. If your business fails, however, the bank will own the collateral. You should expect to finance your business through personal savings, using your credit card, opening a home equity loan or selling some assets. Estimate how much you’ll need to support the business and still cover your personal expenses for up to three years. (It can easily take that long before turning a profit.) Then, add an additional 50 percent to that figure, because things rarely go as planned for launches. For example, the opening of one client’s urgent-care medical clinic was delayed two months because of government inspection holdups. But the clinic’s employees had already quit their old jobs and needed to be paid during those two months, even though no money was coming in. Mistake No. 3: Assuming customers will automatically find you — and buy. For some reason, many first-time entrepreneurs forget this key fact: To succeed, you must be able to sell what you’re offering, whether it’s products or services. So, spend some time diligently identifying your ideal customers and determining how to sell to them. If you plan to enter the skin care business, “anyone with skin” is not your client. You’re actually looking for people over 45, who are concerned about wrinkles and feel a need to look younger and fresher. Go after them to fix their (figurative) pain. Mistake No. 4: Starting a business without a clear exit strategy. Figuring out how you’ll eventually unload your company when you haven’t even opened it may sound odd. But it’s important to begin with the end in mind. This way, the decisions you make about growing the business will be more likely to attract investors who share your exit strategy. Many new entrepreneurs don’t think about how they’ll recover the time and money they’ll put in. They just figure everything will work out in the end. But if you assume you’ll easily be able to sell your business whenever you’re ready to move on, you’re wrong. Only about 10 percent of businesses that are put up for sale actually get sold. Mistake No. 5: Not getting buy-in up front from your family, spouse or partner. Your loved ones will be affected in a variety of ways when you start a business, so you’ll want and need their initial and continued support. After all, there could be stress regarding the money you’ll be pouring into the business. Vacations may not be possible for a while. And you probably won’t be able to stop working at 5 p.m. each day or have every weekend free. Starting a business requires an all-the-time mindset and lifestyle, at least in the beginning. The more everyone you care about understands this, the more likely your business will succeed and your relationships will remain intact. It is an entertaining book by Georg von Wallwitz , an essay on the reality of the financial markets about greedy managers of large hedge funds and mutual funds. I guess that now this could refer you enough. However, we will make some clarifications here.It comes to so-called 900-pound gorillas and testosterone-heavy distributors. Of course, we will approach more carefully and thoroughly. Wallwitz is a mathematician and expert investment. That is quite nice. He dreams of the true stock market hero, an equally virtuous as cunning ruffian. Something similar to a good man who recognizes his weaknesses. That sounds a little pathetic but it is true. Wallwitz is serious. At least almost serious. For he formulates overall funny and writes not from the pulpit. He chooses of irony pose of a cross-legged in the club leather chairs. Whether Odysseus with Death Warrant or whether Wiesel with hairless flat chest are the specialized players in the financial world? There are many individual issues today. “Managers of listed and unlisted capital are in mutual heartfelt contempt for each other. Nobody understands what the other, and what the farmer does not know that he does not like, “says Wallwitz. 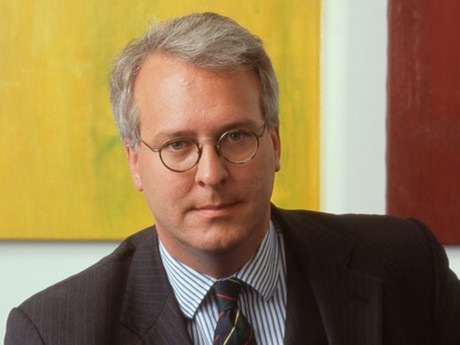 He warns of the reality in the trading rooms of banks and investment companies. The outsiders, writes Wallwitz, are not able to fathom the psychology of markets. This exactly is indeed unnerving. Ultimately, we are talking about the mix of experience and psychological judgment about success and failure in the financial markets. “The way, it is to make an interplay between education, specialized experience, a sense of psychology, mathematically trained intelligence and Animal Spirit the difference,” he advises. Functioning financial markets need many things, but mostly from a serious change. It comes to that people expect not only good reading of balance sheets, but also socially intelligent specialists. Of course, that is normal. These professionals should be able to deal with emotions. They should have their own position and successfully defend this position when it is necessary. The author believes that the financial markets of our or any other planet can achieve this. To forestall possible economic downturns, is better to consider China’s free cash reserves. This can fuel the inflationary pressure – not only in China but also throughout the world. In addition: the ECB and the FED stir with its expansionary monetary policy to inflation. China’s growth is in the 2nd Quarter of 2012 at 7.8%, as well as exports, investment and industrial production to fall short of expectations. The government fears rising unemployment and political discontent. This is the reason for the People’s Bank of China, the reserve ratio cut, starting from a level of approximately 20% for the third time by another 0.5 percentage points. 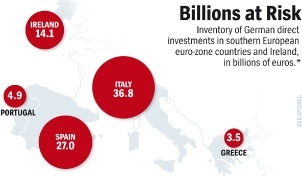 For China’s state-controlled banks an estimated 50 billion euros are provided more liquidity. The Chinese central bank opens so forth immense liquidity reserve, which it has since the turn of the millennium accumulated in response to the low interest rate policy of the United States and the resulting speculative capital inflows. The so-called “sterilization policy” has long been necessary for the stabilization of the exchange rate. The price of Chinese exports in the world markets were kept low in this way and it allowed China an export-driven growth. The central banks of the major industrialized countries could in turn keep interest rates low because cheap Chinese exports dampened inflation. The reserve policy of China (and many other emerging economies) was thus a key reason global low inflation and interest rates. Now it seems that the Chinese central bank to let the spirit of inflation out of the bottle by the cash reserves gradually releases. This prevents the short term, an economic slowdown in China, but it brings long-term risks for China and the world economy. 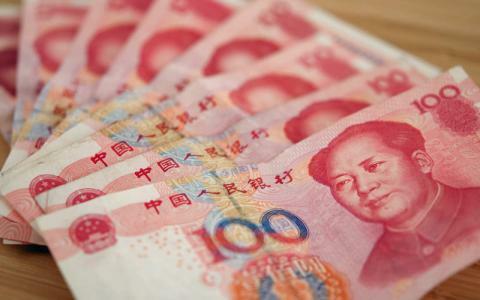 First, the government directed the banking sector of China to finance of new investment projects. Yields on Chinese investment and the soundness of the credit portfolio of the Chinese banking sector will continue to decline. Second, capital that is even more speculative will find use, increasing the likelihood of speculative excesses (e.g., the real estate market) and later a crisis in China increased. Third, the risk of inflation rising in the prices of goods. As a rule, first the prices of food and energy prices rise, probably, fourthly, the political discontent of the population increase. The political response to the ongoing euro crisis for years is with the same solution: to override the principles of responsibility and liability. With the European Stability Mechanism, not only the transfer union is getting closer, but it also has more implications that are serious. 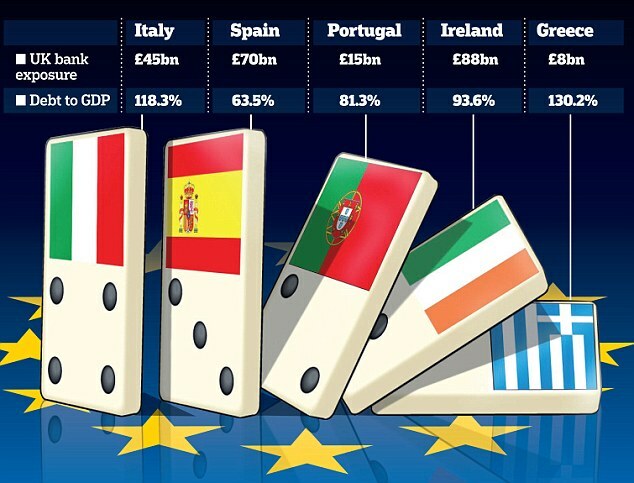 Call it Euro-drama, state over indebtedness or banking crisis. What the supposedly different concepts have in common. For several years, the political answer always is the same: responsibility and liability of the actors have been systematically repealed. As this disclaimer and this irresponsibility practiced concretely, is currently observed in Greece: EFSF, the Greek Government in April paid 25 billion euros to stabilize the Greek banking sector. This week, the majority of them, namely 18 billion euros, issued to recapitalize the four largest banks in the country (Alpha, EFG, NBG and Piraeus). The capital increase was implemented in addition to the non-voting preferred shares. Thus, the existing shareholders retain undiminished influence, while the EFSF may affect, as giant investors did not continue the business practices of these banks. “No bail-out” yesterday, in the Treaty on the Functioning of the European Union agreed to in Article 125 Not liable for the debts of other Member States. Now is introduced into the domestic politics of the mock combat rejection of euro bonds, with which a common European borrowing is meant. They would mainly at the expense of previously good credit and Germany and the interest burdens for the German national debt by 50 billion euros per year. Actually, the European Stability Mechanism (ESM) will permanently transform the euro zone into a transfer union. For the ESM can hold its own bonds to finance the over-indebted countries and their banks at the expense of more solid member states. And the ESM will abolish the national sovereignty of the German legislature because its committees – the so-called Board of Governors, in which the finance ministers of the Member States have a seat and voice, acting by a majority, if new money is used to rescue crisis. Government and parliament are no longer in demand. It is a political scandal of the first order. This question is ultimately so central that it would be good to hold a referendum on it. Polen Rundschau is an online magazine for business, finance and economics. Follow with us what is happening in the financial world, the European Union and the USA and how it affects us all. 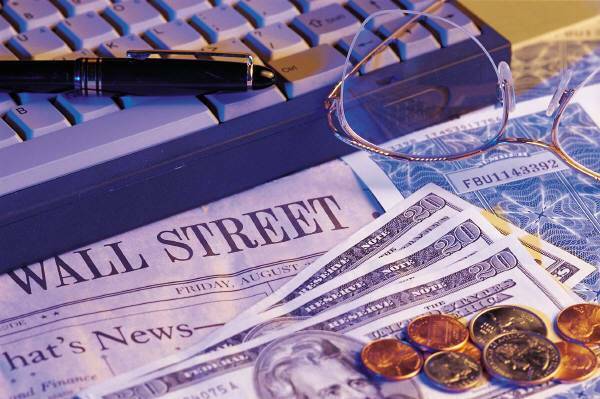 Be aware of everything that causes changes int the financial and stock markets. In Polen Rundschau you can find economic analyses of some of the best analysts in Poland and Germany. Participate actively in the discussions below our articles and we will make sure that your voice will be heard in the economic world. The professional company electricheatingexpert provides all the information on Electric Heating.